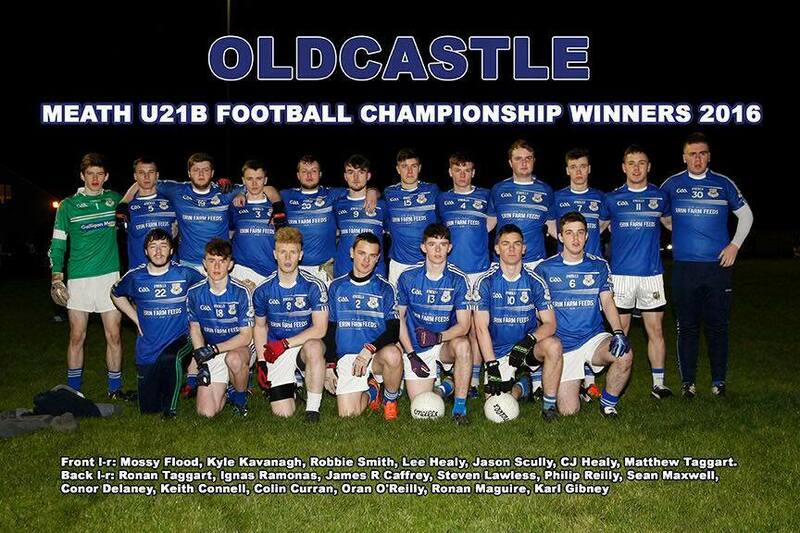 Oldcastle GFC | Oldcastle U-21 Champs! 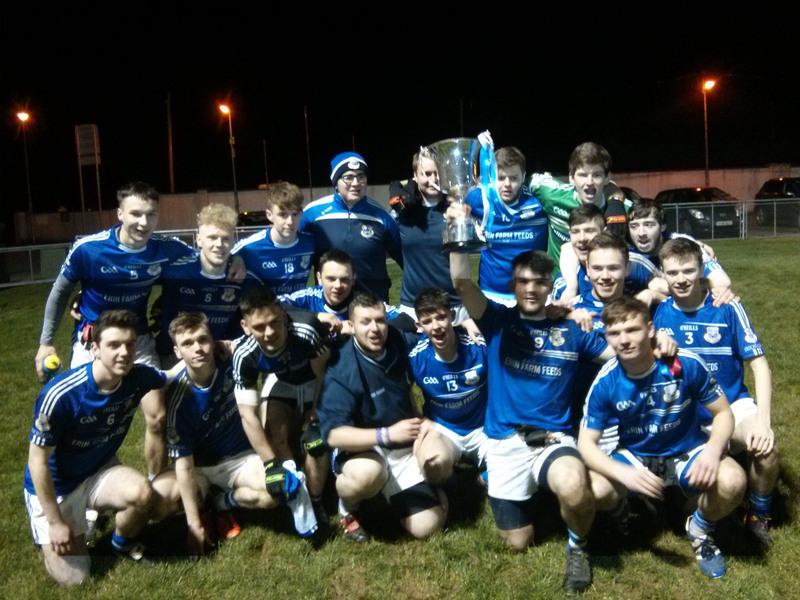 A super team display on Saturday evening(3 Dec.2016) in Carlanstown earned Oldcastle bragging rights as they claimed the U-21 B Footbal Championship title. In what was a tightly contested game from beginning to end Oldcastle proved more efficient and finished stronger with 7 points to spare. It was clear that there was going to be the minimum between the sides, but it was Drumconrath/Meath hill who were first on the scoreboard after three minutes. Sean Maxwell sent over his first of the game shortly afterwards following great work from Jason Scully and Conor Delaney. This was cancelled out by a Drumconrath/ Meath Hill free. Scully then converted his first free of the game leaving the sides with 2 points apiece after 10 Minutes. The turning point of the first half came when a Delaney shot hit the post, but Ronan Maguire was on hand to finish and buried Oldcastle’s first goal. The sides again traded scores before the break with Healy adding two frees and Scully adding another. Although Oldcastle had a 5 point lead going into the break, they knew there would be nothing easy about the second half. Again it was Drumconrath/ Meath Hill who hit the first score of the half but this was cancelled by a point from play from Scully as he worked well with Maguire and Delaney inside. Scully added another converted free to Drumconrath/ Meath Hill’s three points from play, but Oldcastle ensured they kept their advantage and their excellent work ethic was evident in every line of the pitch. CJ added another to the score sheet. The Oldcastle defence proved dominant in this half and enabled Oldcastle to build on their lead. The score of the game came as we entered the last quarter with Robbie Smith carrying the ball up the pitch and delivering a perfect ball into Maguire as he netted for a second time. Oldcastle were well in the driving seat by now but could not let up and Drumconrath/ Meath Hill battled on. Another three points in the closing stages of the game from Maxwell, Scully and Maguire left Oldcastle 7 points clear at the final whistle and under 21 championship winners. A great team display on the game with excellent performances across the board and Man of the match performances from Ronan Maguire, Robbie Smith and Sean Maxwell.